Congress has given the Defense Innovation Board the gargantuan task of figuring out how to fix the ways in which DoD buys and develops software. The process is widely regarded as too slow, too expensive and reliant on long-outdated practices. But beyond those general presumptions, one of the first things the board has found as it’s set about the project is that DoD keeps very little data about its own software projects. And since that’s exactly the kind of information one would need to pinpoint where the problems lie, the board has made collecting it its first order of business. During a quarterly meeting on Tuesday, board members began deliberating over a dozen different potential ways to track software development. They were based in part on the belief that implementing those new measurements will incentivize different behaviors in the government and contractor workforces which write software for the military. Nearly half of the draft metrics — the early workings of a report the board will deliver to Congress next April — have to do with speed. They would, for instance, require DoD development programs to track the time it takes from the start of a project to when developers deliver “simplest useful functionality.” They would also require tracking the time to remedy newly-discovered security holes, and how long the military takes to actually deploy new software updates into an operational environment after they’ve been written and tested. Those metrics would also include “target values” for the department. The board suggests commercial-off-the-shelf software should see at least some operational use within a month after the program is launched. But highly-customized software that also needs to run on customized hardware, including embedded systems, could shoot for targets of less than a year. Several other proposed metrics have to do with the quality of the software the military uses. How much automation are developers using to quickly verify their code is correctly-written? How many bugs are caught during the development process, rather than by end-users in the field? How often does DoD have access to the source code it’s paid contractors to develop so that it can inspect it, and roll back to earlier versions if necessary? On the latter metric, the board said its review of DoD software programs has found that’s almost never the case. 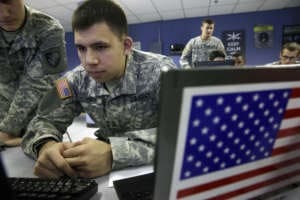 Another set of metrics are meant to improve DoD’s monitoring of the cost, schedule and performance of software programs, hopefully leading the department to make more accurate predictions of how long it will take to develop a particular capability once military officials decide it’s needed. They would track questions such as the number of new software features developers are being asked to implement, what program management methodologies they’re using, how early and often they’re engaging with end-users, and how much of the program’s objective can be accomplished by re-using code that’s already written and owned by the government. Former Google CEO Eric Schmidt, the board’s chairman, proposed what he said would be a simpler way to track the effectiveness of program management within DoD. He said the board should develop a list of the 100-or-so most common programming languages, software development environments and hardware platforms in use throughout the broader IT industry over the past five years. DoD components, he said, should be graded on how often they’re allowing their developers to use those tools rather than long-outdated ones.